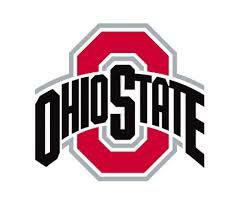 Ohio State University is a four year, public university located in Columbus, Ohio. OSU offers undergraduate, graduate, and professional degree programs. At Ohio State, you'll join over 1,800 current veterans, dependents, Active Duty, National Guard and Reserve members attending as undergraduate and graduate students; over 1,000 current faculty and staff veteran employees; and over 400 in the Tri-service Air Force, Army, and Navy ROTC program. The Ohio State University is a leader in the world of higher education. As a land grant institution, OSU is proud to serve the State of Ohio and its citizens while preparing students to become leaders in a fast-changing world. Ohio State balances its close-knit community atmosphere with being one of the largest campuses in the country. Students have virtually endless opportunities or academic and social enrichment through the University and its surrounding communities.